#ArtsPH - Celebrate The Music Of The 80s With Gino Padilla, Jett Pangan, Raymon Lauchengco, Lou Bonnevie and Jam Morales! The 80s were known for being big, bold, brash, colorful, lively and loads of fun! 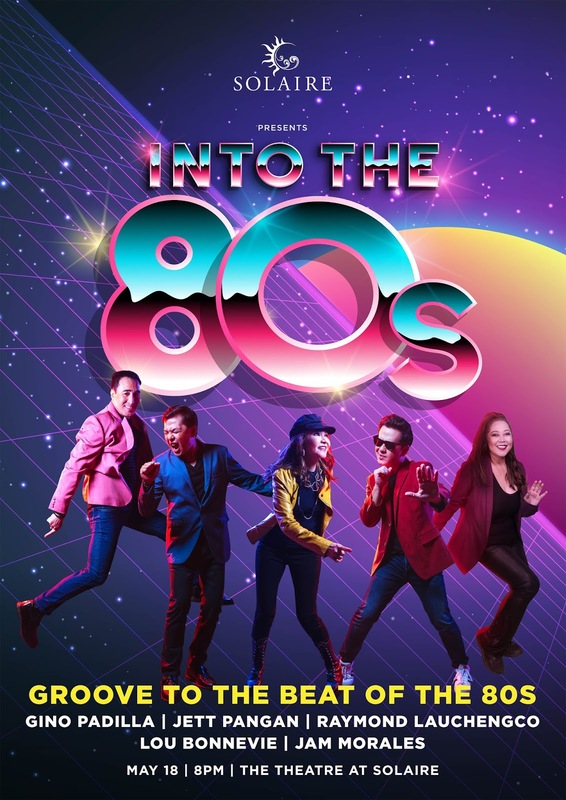 Solaire Resort and Casino’s latest retro concert, INTO THE 80s, on May 18 celebrates the music that brings out, not just that look and feel but also the diversity of musical styles popularized during that time! A wide range of music genres were either born or reached a new high in popularity during the 80s - pop, hard, metal, and alternative rock, contemporary R&B, Hip Hop, country music, new wave, post-punk and electronic dance music. Exceptional artists and bands exploded onto the scene – their performance styles as diverse as the music they performed. From Prince to The Police, Sheena Easton to Spandau Ballet, Blondie to Kim Carnes, Bangles to Irene Cara, Whitney Houston to Wham, Billy Joel to Rick Astley, Kool and the Gang to Queen – each one unique in their own right and all with a near fanatical following of fans all over the world. INTO THE 80s brings many of these songs back through the incredible talents of some of the Philippines’ own 80s musical icons - Gino Padilla, Jett Pangan, Raymond Lauchengco, Lou Bonnevie, and Jam Morales – with a unique repertoire that covers the entire gamut of songs popular during that era. Musical Director Toto Gentica has put together a set list that includes Billboard Top Hits like Careless Whisper by George Michael and Every Breath You Take by The Police; favorite movie themes like Xanadu, Ghostbusters, and Footloose; the best of new wave and 80s dance tunes Just Got Lucky by Jo Boxers, I Wanna Dance With Somebody by Whitney Houston, Uptown Girl by Billy Joel and Celebration by Kool and the Gang. The icing on this already musically rich repertoire are some the hit songs of each of the evening’s performers – Lou Bonnevie’s Love me Tonight, Gino Padilla’s Closer You and I, Jett Pangan’s Salamat, Jam Morales’ Even If, Raymond Lauchengco’s I Need You Back plus medleys of other 80s OPM hits by Gary Valenciano, Randy Santiago, Zsa Zsa Padilla, and Verni Varga. The 80s feel will be further enhanced by outfits, choreography and videos of events, TV shows, performers and performances reminiscent of the times. The entire evening is guaranteed to bring back memories and get audiences up on their feet and groove with the beat of the 80s. The headliners of Into The 80s will be joined by the Filipinas Dancers and the Session Band plus some surprise guests to ensure the show will live up to the spirit of the 80s.. Directed by Toto Gentica, Script by Henry Tejero, and choreographed by Butch Esperanza. Catch INTO THE 80s on May 18, 2019, 8PM at the Theatre at Solaire. Directed by Toto Gentica, Script by Henry Tejero, and choreographed by Butch Esperanza. For tickets to INTO THE 80s, you may call Ticketworld at 891-9999 or log on to www.ticketworld.com.ph. You can follow me on Twitter, Instagram and Facebook! LIKE, SUBSCRIBE, SHARE & COMMENT. 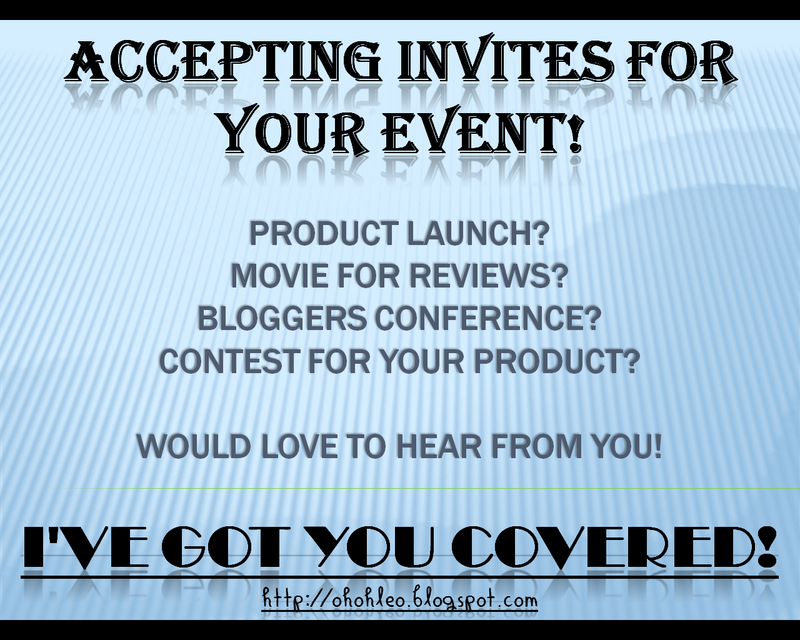 DISCLAIMER: All content provided on this blog is for informational purposes only. The owner of this blog makes no representations as to the accuracy or completeness of any information on this site or found by following any link on this site. The pictures or videos posted here doesn't necessarily mean that it's the owner's property. The owner will not be liable for any errors or omissions in this information nor for the availability of this information. The owner will not be liable for any losses, injuries, or damages from the display or use of this information. 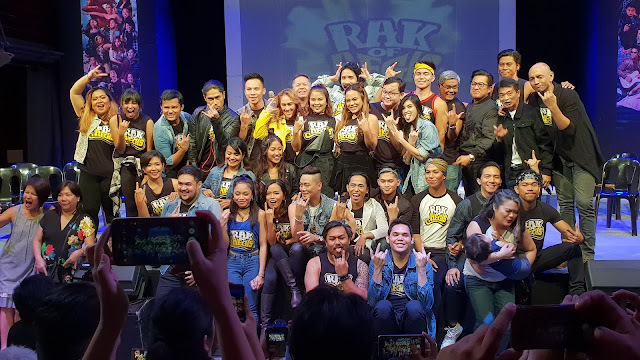 #TheaterPH - Rak Of Aegis Is Back For Another Season! 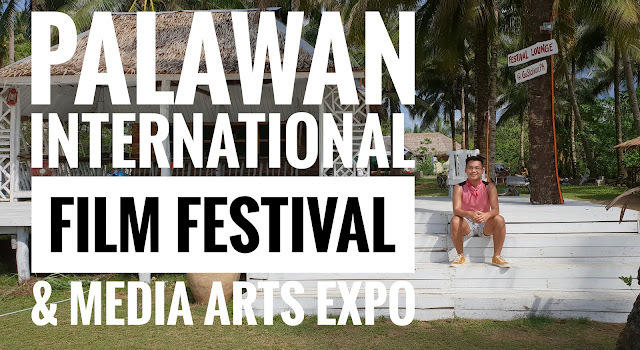 #ArtsPH - What Happened To The 1st Palawan International Film Festival & Media Arts Expo? #CulturePH - Let's Egg Hunt With GCash! #TechPH - Samsung Galaxy A70 and A80 Are Here! Follow my Food Adventure at ZOMATO!